Now that it's December, we've officially entered the height of comfort-food season. Irresistible-sounding recipes for slow-cooking stews have had us on the hunt for the best crockpot to add to our kitchen appliance arsenal since the beginning of fall, but during our search, we made a surprising discovery: The internet's favorite slow cooker isn't a slow cooker at all—it's an Instant Pot. 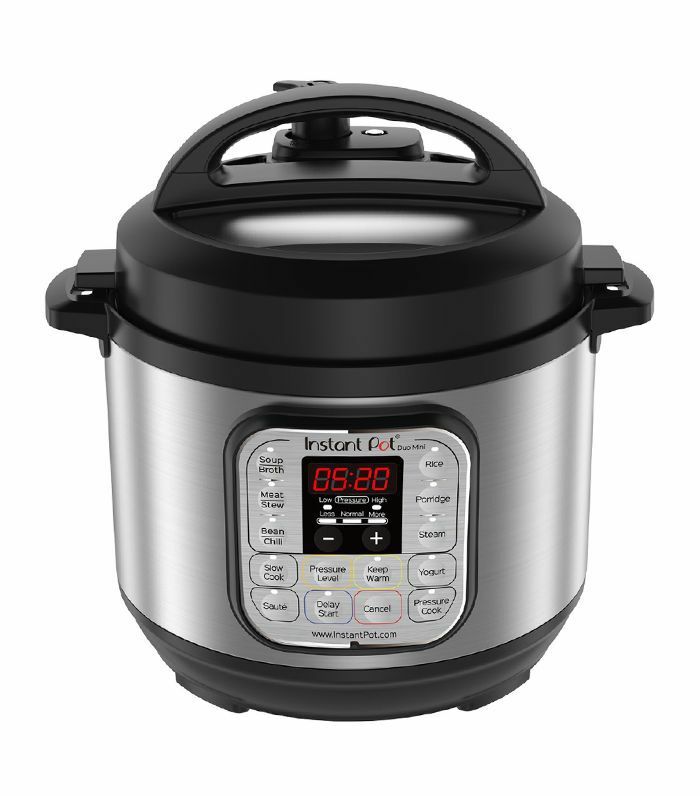 Because people are seriously losing it over this $70 kitchen appliance with 4.6 out of 5 stars on Amazon, we went through over 24,000 Instant Pot reviews to find out if it lives up to the hype. Scroll on to find out why people rave that this tool a must-buy for "people who say they can't cook." "I didn't fully appreciate, until several days in, just how amazing this aspect of the Instant Pot is: you can start something cooking in it, and then *walk away* - even leave the house, and it will finish cooking just like you instructed, and be *perfectly done*, and then it will *keep it warm for up to 10 hours*! Not keep cooking it, just *keep it warm*. For up to 10 hours! You can put something in there in the morning, leave for the day, and come back to a perfectly cooked whatever, just waiting for you! "Clean-up is so easy. Take out the pot and let it soak for a while. Trust me, when you let your cooker soak for a day, the crusts and stains of food will come right up with a little elbow grease. Be sure to clean the lid and take out the transparent rubbery part from the inside of the lid. Don't forget to clean the outside of the cooker either, as food can sometimes get stuck in the lip of the cooker." — Autonomous J.E.N. And now, seven vegetarian soup recipes so good even staunch carnivores will want seconds.